TORONTO, ON – The Winter 2018 issue of The Brewers Journal Canada – a quarterly publication “designed to give breweries, distributors, and suppliers an essential insight into the issues that matter to them” – is out now in both digital and paper formats. 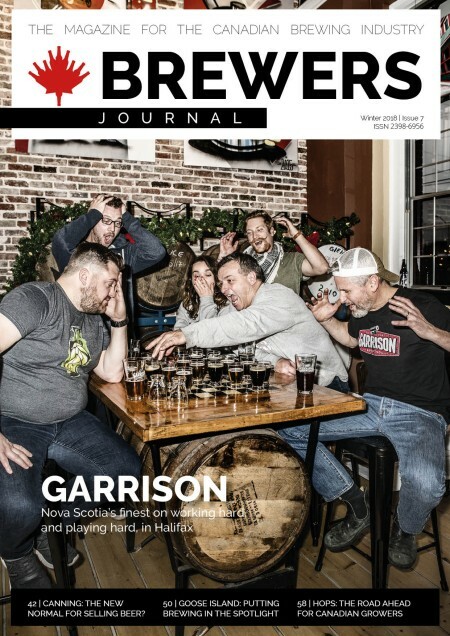 This latest issue includes a cover story on Garrison Brewing, a preview of the Master Brewers of the Americas Ontario Technical Conference, a feature on Toronto’s Goose Island Brewhouse, and much more. The Brewers Journal Canada can be read as a free online edition via the Issu platform, and in a paper edition via subscription. For more details, see The Brewers Journal Canada website.